Our team of compassionate and skilled Acupuncturists have many specialties ranging from fertility to cancer care, from pro sports acupuncture to family medicine and pediatrics. We believe in working together and making life as convenient for our patients as possible. You are welcome to see any and all of us at the convenience of your schedule and you can even hop between locations while maintaining continuity of care. Our founder, Steven Mavros, L.OM., had the same ideas in mind when he and Dr. Silverman started the Healing Arts Center of Philadelphia back in 2006. Our team of compassionate and skilled acupuncturists have many specialties ranging from fertility to cancer care, from sports acupuncture to family medicine and pediatrics. We believe in working together and making life as convenient for our patients as possible. You are welcome to see any and all of us at the convenience of your schedule and you can even hop between locations while maintaining continuity of care. Our founder, Steven Mavros, L.OM., had the same ideas in mind when he and Dr. Silverman started the Healing Arts Center of Philadelphia back in 2006. The goal was to bring together in one place a diverse group of complementary medicine providers so a patient will have access to the most well rounded holistic care without having to even leave the office. We’ve since expanded from our main center in Old City and branched out to Rittenhouse, Bryn Mawr, King of Prussia and Exton to make accessing quality complementary care that much easier. Steve has been an acupuncturist and herbalist since 2001. Though he treats a wide variety of conditions, he has been focusing on male and female infertility since his first month of practice. Working hand-in-hand with reproductive endocrinologists and often found treating on-site at fertility clinics, Steve has helped pioneer the acupuncture for fertility field in Philadelphia. His practice also includes other focuses including headaches and migraines, menstrual issues and menopause, anxiety, stroke rehabilitation and fibromyalgia. A graduate of the University of Pennsylvania with a B.A. in Psychology, Steve began his Chinese Medicine training in Shanghai, China at Yue Yang Hospital. He went on to receive his Masters of Acupuncture and Oriental Medicine at the oldest acupuncture school in the US, the New England School of Acupuncture. He returned to Philadelphia with the hopes of bringing an integrated approach to hospitals, as he first learned in Shanghai, for the betterment of the whole patient. After hitting many walls, he decided to start his own center and partnered with Dr. Silverman along the way. Steve is the former President of the Association of Professional Acupuncture, a frequent lecturer at the University of Pennsylvania Nursing School and Drexel University School of Medicine, and a member of the American Society for Reproductive Medicine. He’s also the host and producer of the podcast Waiting for Babies: Stories from the World of Infertility. He’s been featured in Philadelphia Magazine (Best of Philly 2017), Philly Style, and CBS Health Watch for his work with infertility. Tansy M. Briggs began her practice in New Mexico in 2002 where she ran a private practice. In 2011, she sold her practice and relocated to the Philadelphia area and has brought with her a unique approach with a focus on the whole family. Tansy obtained her bachelors degree from Clark University in Worcester, MA in Environment, Technology and Society, concentrating in Biology and Chemistry, which met the requirements for pre-med. However, Tansy became more interested in how the body works ‘the best’ and pursued a career in Natural Medicine. This led to Southwest Acupuncture College in Santa Fe, NM where she obtained her Masters of Science in Oriental Medicine (MSOM) in 2001. Tansy brings her depth and knowledge of treating patients over a decade of successful family practice with all health care issues from infants to adults. Although comfortable in treating any health issue, Tansy’s most noted successes are in the treatment of stress, pain and injuries, chronic illnesses, life transitions, peri-menopause and menopause, heart health, endocrine health, hormone balancing, correcting metabolic imbalances, health and emotional issues affecting children (infants through teens), fertility, pregnancy (all stages) and post-partum care. Tansy is compassionate and provides gentle care in all aspects and stages of your life and health. She practices integrative Oriental Medicine: Acupuncture, Chinese Herbs, Therapeutic Nutrition, and other Natural Therapeutics, to provide unique and comprehensive care. Treatment and care regularly complements with conventional health care. Tansy joined the Healing Arts Center in 2011 and is also a current adjunct faculty member and clinical supervisor at the Won Institute of Graduate Studies. Julie Schwartz, M.S., L.OM., earned her Master’s of Science degree in Traditional Chinese Medicine from the American College of Traditional Chinese Medicine in 2003. She is licensed by the Pennsylvania Medical Board and is a National Diplomate in Acupuncture. In her practice, Julie uses various modalities such as acupuncture, herbal medicine, cupping, moxibustion, and nutritional therapy. As a health care provider, she sees many patients with a wide variety of conditions. Julie has experience with a wide range of issues from fertility to cancer care, stress and anxiety, menstrual disorders, emotional concerns, digestive disorders, injuries, and pain management. Julie earned her Bachelor of Arts degree from the University of Wisconsin-Madison. 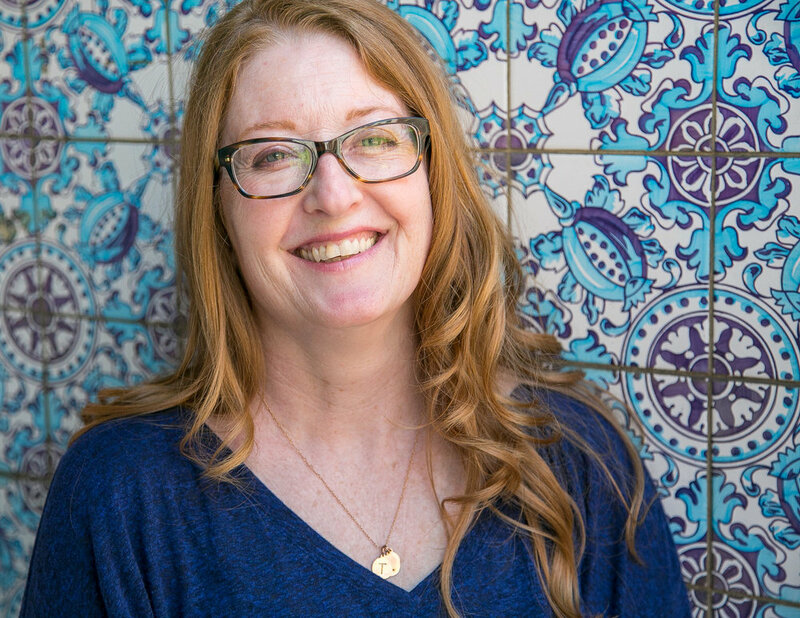 While living in San Francisco, Julie worked for several years at the University of California-San Francisco, both at the Osher Center for Integrative Medicine and at the Cancer Center. She also maintained a busy private practice. She relocated to her home town of Philadelphia and joined the Healing Arts Center in 2008. Vashni is a licensed acupuncturist with a real love of Western Medicine. She values an integrated approach and is particularly interested in treating infertility – both male and female. She treats patients undergoing fertility treatments as well as those hoping to conceive naturally. Her other specialties and passions are patients dealing with cancer, anxiety, depression and pain of all kinds. A big proponent of corporate wellness, she, along with Steve Mavros, implemented an acupuncture program at Urban Outfitters which is still going strong today. Her first experience with acupuncture was after a wretched year of chemotherapy and surgery. She is currently cancer free and knew from her first acupuncture treatment that this is what she wanted to do for the rest of her life. 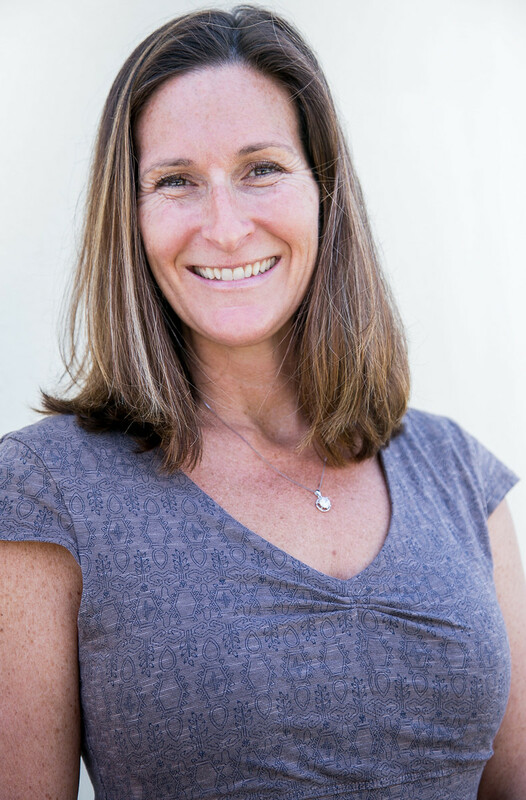 She received her Masters Degree in Acupuncture from the Won Institute in Glenside, PA.
Kelly Boggs began practicing Oriental Medicine in Miami, FL in 2005. She received a BS in Biology and Chemistry from DePaul University, Chicago. She then earned a Master's of Science degree in Traditional Chinese Medicine from The South East Institute of Oriental Medicine, where she graduated with honors. She is board certified by the National Certification Committee for Acupuncture and Oriental Medicine in both acupuncture and herbal medicine. She is licensed by the Pennsylvania State Board of Medicine. Kelly's background in western medicine allows her to effectively integrate western medicine with eastern strategies to create better outcomes. Her focus and passion is fertility and women's health. Her practice also includes pediatrics, allergies and pain management of all types. Kelly's Specialties: Women's Health and Infertility, Chronic Pain, Pediatrics and uniquely offers both Private and Community Style Acupuncture. Joining us from across the river, Lydia has been practicing acupuncture since 2004. She’s had over 10 years training in Chinese healing arts between Daoist Yoga, Qi Gong, and Chi Healing Therapy along with her M.S. in Acupuncture from Tri-State College of Acupuncture. She’s certified in both NJ and PA and has her B.S. from Drexel University. Her care is very centered around women, from menstrual problems to menopause, fertility to pregnancy, labor to post-partum issues. She also spends time at Lourdes Hospital and has vast experience in treating pre and post-surgical complications. Teacher, Martial Artist, and Chinese Herbalist, Mariko left the field of education to become an Acupuncturist and Chinese Herbalist. Mariko specializes in the treatment of both chronic and acute pain utilizing a blend of Chinese Sports Medicine and TCM style acupuncture. He is primarily interested in empowering patients to understand and manage their conditions in order to guide them towards better health. Mariko has practiced Hapkido, Qigong, and meditation for over 14 years and has studied Macrobiotic nutrition for over 7 years. He offers an educational approach to the medicine, providing patients with nutritional information and resources as well as breathing techniques and exercises. Heather has been a practicing health care provider since 2009, and brings her background of Western medicine to her Eastern practice. She believes in the benefit of both modalities and practices with an integrative approach. Along with being an Acupuncturist, she is a practicing Registered Nurse and has worked with adult, pediatric and infants in the neonatal ICU. Her interest in practicing under an Eastern model of healthcare came gradually as she experienced the pain of her patients and her own health struggles. She was diagnosed with Fibromyalgia and decided that she needed to take control of her health. It was through this struggle that she was introduced to acupuncture and began a new take on life. Through regular acupuncture, dietary and lifestyle changes she completely changed her wellbeing, and no longer fits within the criteria of a Fibromyalgia diagnosis. Heather was so moved and grateful for the gift of alternative therapies that she achieved a Master’s degree in Acupuncture. She did not give up on her own health and encourages her patients to follow the same philosophy. She enjoys treating people with a variety of symptoms and conditions including women’s health, reproductive care and fertility. Heather enjoys helping people achieve their health goals with a positive and compassionate approach. Heather's Specialties: Pain, fatigue, eating disorders, anxiety (generalized and specific), unexplained digestive symptoms and insomnia. Julia began her acupuncture and Chinese herbal training soon after graduating with her Bachelors from Villanova University. She attended Southwest Acupuncture College in Boulder, CO and graduated with a Masters in Science for Acupuncture and Chinese Herbology in 2012. During her time in Boulder she was fortunate enough to gain knowledge and experience treating many different demographics, including children, senior citizens and even the homeless population in Boulder. While she is adept at treating all conditions, she has developed a passion and focus for women’s health (including fertility) and pain management/sports medicine. Julia has worked in both private practice and community clinic settings to provide patients with quality care. Her goal is always to help her patients thrive and find balance and to do so with a holistic approach that addresses not just the symptoms but also the root cause. Julia’s Specialties: Women’s Health (including fertility), male fertility, pain management, sports medicine.